This course is designed to be a GHS update and will NOT cover the GHS in-depth. This course will review: recent UN updates to the GHS; the status of selected country/sector implementation proposals to align with the GHS; and highlights of health, physical and environmental criteria in selected countries, regions and sectors. Examples to demonstrate the impact of the GHS building blocks on classification and hazard communication. Implementation and harmonization issues will be discussed. The course will help students understand the GHS building block concept, develop a GHS implementation strategy, understand what the changes will be for company products and provide informed comments to management and government agencies about harmonization and GHS proposals. This is considered an advanced course. While there are no specific prerequisites, it is strongly recommended that participants’ have a working knowledge of the GHS, EU and USA hazard communication principles. The GHS will not be covered in depth and students must have a good understanding of the GHS elements. Dr. Sullivan is a recognized expert in domestic and international hazard communication and author of MSDS and GHS Guidance Manuals. She testified as an expert witness at Senator Enzi’s Subcommittee hearing on “Hazard Communication in the Workplace”. Dr. Sullivan participated in the ANSI Z400.1 MSDS and Z129.1 Labeling Standards development and training. 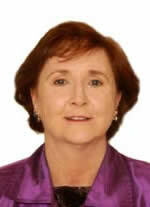 Michele developed GHS situational analyses for USA regulations and designed GHS training for Asia-Pacific countries. Her GHS activities include: industry member of the USA delegation to the Earth Summit preconferences, the IOMC Coordinating Group on the Harmonization of Chemical Classification Systems, the OECD Task Force on the Harmonization of Classification and Labeling and the ILO Working Group for the Harmonization of Chemical Hazard Communication. She is listed on the UN Roster of GHS Experts. Her professional activities are related to SCHC: recipient of the SCHC Distinguished Lecturer Award for outstanding contributions to the field of hazard communication; Chair, Past-President of SCHC and an SCHC board member; professional development trainer and HAZCOM 101 director. Dr. Sullivan received her Ph.D. in biochemistry from the University of Virginia and her BA in chemistry from Newton College of the Sacred Heart. 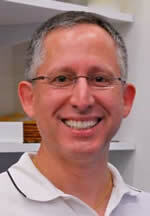 Mr. Brigandi is a recognized expert in US and international hazard communication regulations. The majority of Paul’s career was with Mobil Oil Corporation (20 years), where he was involved in a wide variety of research assignments. He spent 10 years in the Product Safety group where he led multi-disciplinary teams, on the planning and implementation of global product safety compliance programs, not to mention writing thousands of SDS along the way. While at Mobil Paul was a member of the OECD Expert Group on classification criteria for mixtures and he chaired both the BIAC to the OECD Expert Group and the American Chemistry Council Global Harmonization Task Force. Paul is the Chair of the SCHC Professional Development Committee. See brochure for registration, cancellation, hotel information.